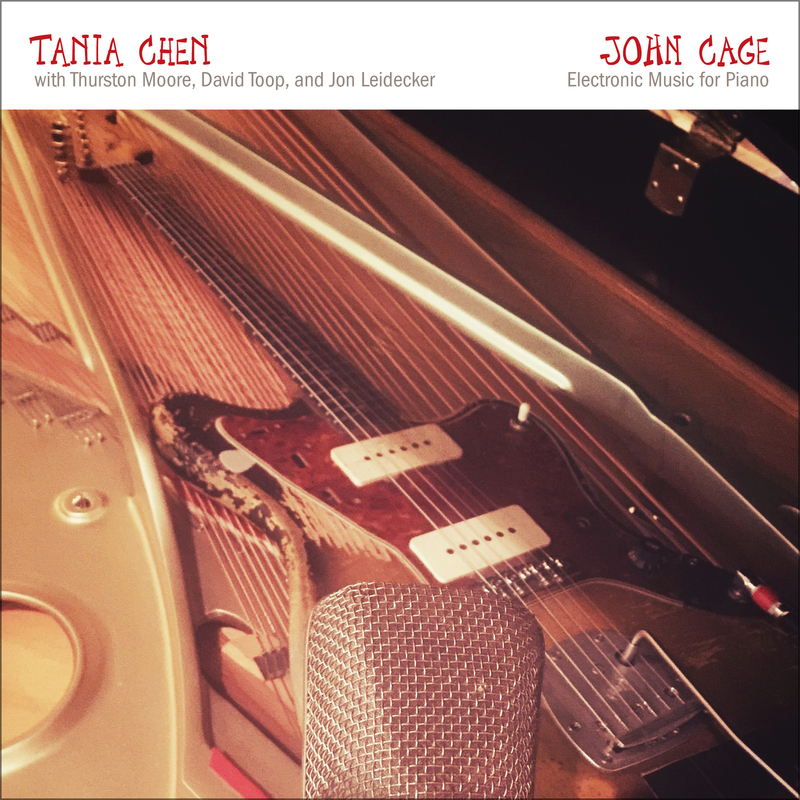 New performance of rarely-recorded 1964 Cage composition from Tania Chen—a leading pianist and interpreter of Cage’s work. Composer John Cage (1912-1992) is one of the classical world’s best known experimental composers and theorists. Electronic Music For Piano is one of Cage’s least known pieces because the score is among his most enigmatic and consequently, there are few commercial recordings of it. Written in Stockholm in 1964 on hotel letterhead, the notes ask the performer to select parts from his Music For Piano 4-84 and use electronic equipment. Everything else is up to the artist’s discretion. Enter Tania Chen, the U.K.-based pianist who has become a revered and leading interpreter of Cage’s work. Recording in both London and Berkeley, California, Chen joined forces with Thurston Moore (Sonic Youth), David Toop (former member of The Flying Lizards, and recording artist on Brian Eno’s Obscure label) and Jon Leidecker (aka Wobbly, who has also worked with Negativland) to create a new version of this piece helmed by Gino Robair—composer, musician, and scholar. The 60-plus minute piece contains all elements of what Cage envisioned with his work—the artist using technology to keep a piece of art current, revealing, and astounding.